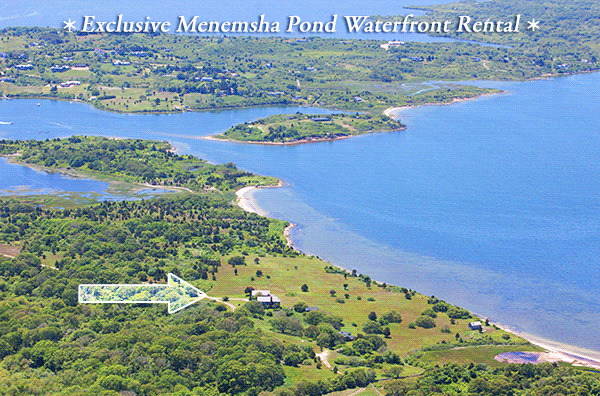 A unique property on 140 acres with one mile of private frontage on Menemsha Pond with views of the Elizabeth Islands. Beautiful three bedroom home with separate studio. The privacy, views and sunsets are unparalleled. Professionally Decorated by Kate Maloney Interior Design, Your New Home Away From Home. Offered Exclusively through Hancock Real Estate. Please call for availability and rates. This house was built 1812; it is one of the earliest homes in Chilmark. In 2001 it was completely restored and in 2014 a large deck was added facing the lily ponds. Large master bedroom and bath on the first floor, three bedrooms and two baths upstairs, one very private with its own staircase. Excellent linens, full laundry. Media/pool/playroom downstairs. Full stocked kitchen for the serious cook, eating porch just outside. The house is beautifully landscaped and tenants have access to Quitsa Pond for swimming & kayaking. Please call for availability & rates. Spectacular five bedroom, water view home with pool. Open living /dining area with walk out to large deck with a well furnished outdoor dining area. Plenty of outdoor living to be enjoyed whether in the pool or poolside, sitting around the fire pit at night or playing tennis on the private court. 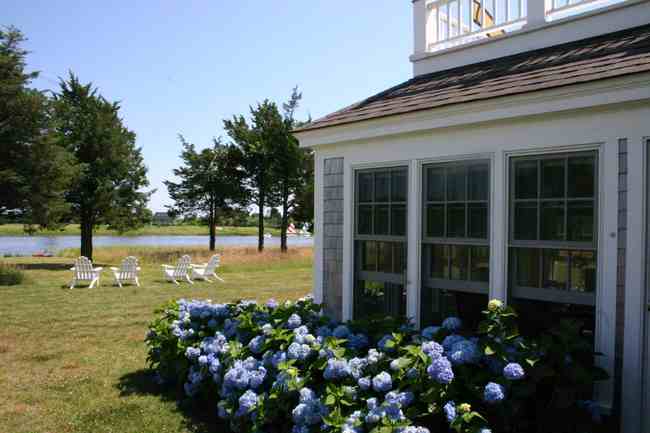 Rental also comes with Chilmark Pond access and south shore beach access across the Pond. Please call for rates and availability. One of the most charming properties in Chilmark. 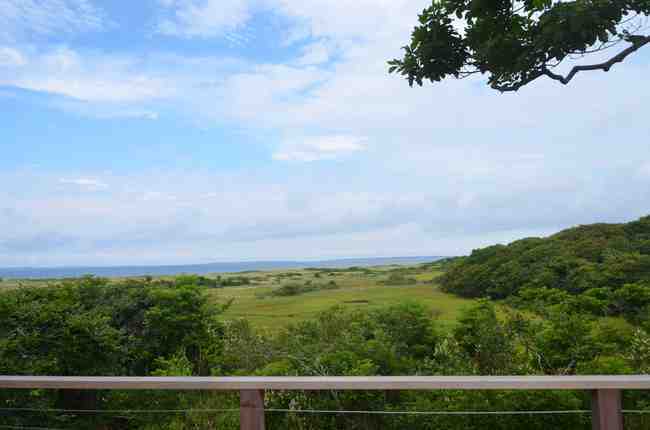 A lovely parcel with gently rolling contours overlooking Chilmark Pond and the South Shore. 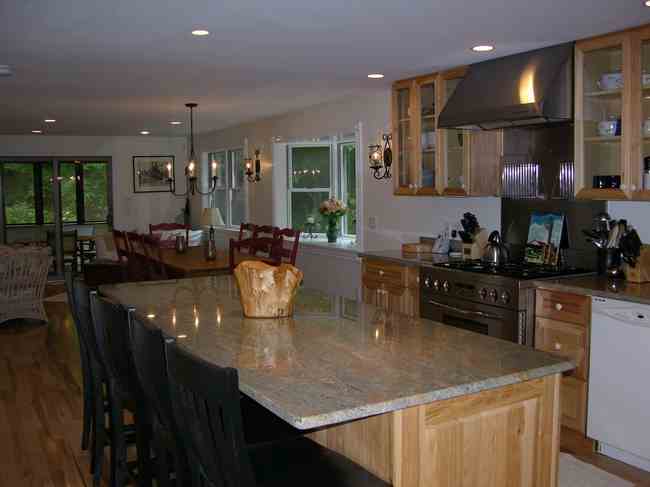 The main house, guesthouse and playhouse are located on a large private lot in Chilmark. The main house has three bedrooms and two baths, the guesthouse has two bedrooms, one and one-half baths. 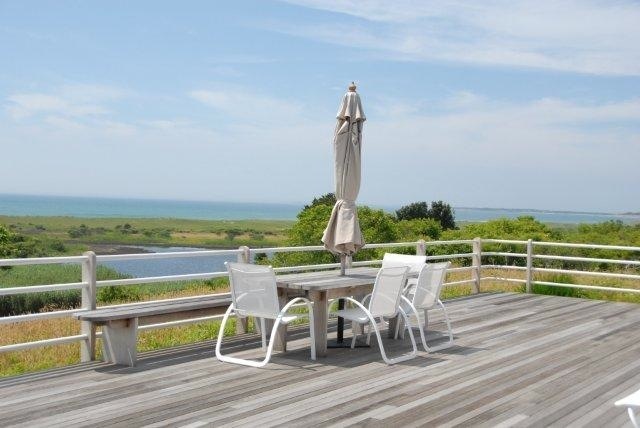 Rental includes Chilmark Pond and and Atlantic beach access. Centrally located, easy access to the center of Chilmark, as well as West Tisbury Farmer’s market. Please call for rates and availability. 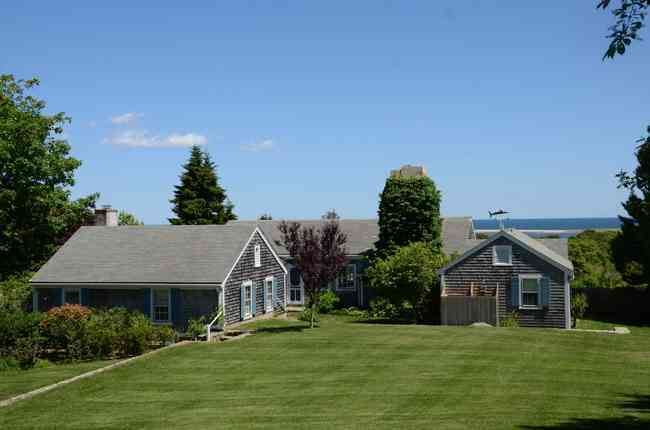 Beautiful four bedroom home near Menemsha Village. Open living/dining/kitchen area on first floor along with full bath and king bedroom. Second floor has master bedroom with king bed, full bath and private deck, along with two other bedrooms that share a full bath. Enjoy the outdoor living areas whether your on one of the decks, screened in porch or the patio. House is well equipped , central AC, outdoor shower and propane grill. Please contact for availability and rates. Four bedroom contemporary waterfront home on the Atlantic. Outstanding views, path to beach, lap pool, expansive decks, great vacation location. Please call for availability and rates. Incredibly beautiful four bedroom, waterfront home on Chilmark Pond with deeded Hancock Beach access. Please call for availability and rates. 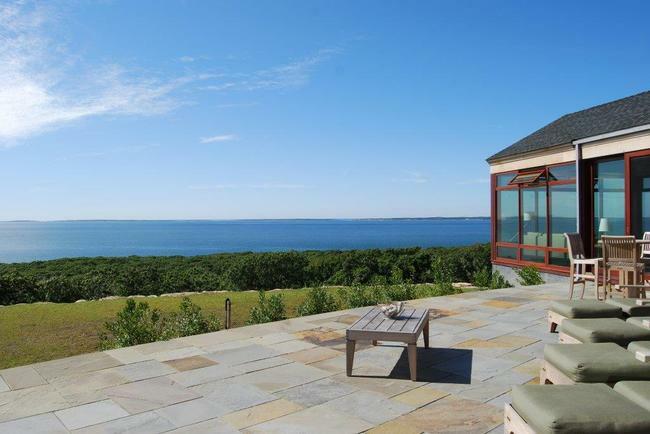 Spectacular six bedroom contemporary home with panoramic views of the Vineyard Sound. Please call for availability and rates. This is an updated 5-bedroom, 3½ bath, farmhouse set back behind ancient Chilmark stonewalls with a key to Hancock Beach! The house lies between West Tisbury (Alley’s General Store, 7A Foods, Farmer’s Market, Artisan’s Market, galleries, etc.) and Chilmark (Chilmark Store, Chilmark Tavern, Chilmark Community Center, etc.). 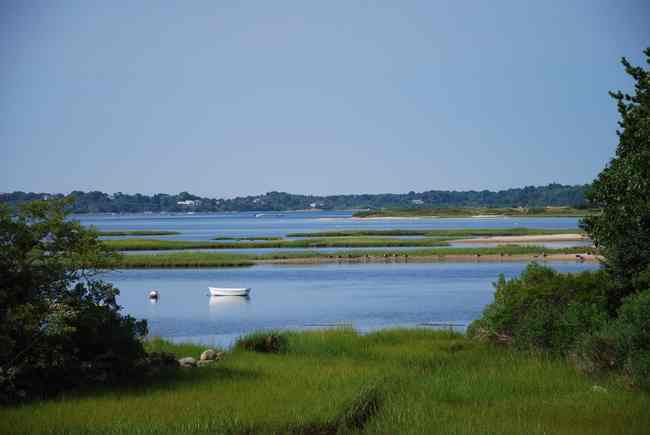 It is also a short ride to Menemsha Village (fishing, fish markets, galleries, restaurants, and sunsets on the beach). This 1713 Mayhew farmhouse underwent a complete gut-renovation in 2017 and was reborn to honor its past while embracing today’s contemporary lifestyle. The house is fully air- conditioned and has Wi-Fi, high speed Internet and cable TV. A beautiful three-season porch was added to the back of the house. It is a relaxing place to sit, read, play a game, watch TV, or simply observe what is going on outside. The porch leads to a bluestone patio with a teak dining table with seating for 8 under a market umbrella along with a number of chairs to relax in and a gas grill. Adjacent to the patio is a large private outdoor shower. The house is surrounded by an expansive lawn bordered by stonewalls. The house is remarkably open on the first floor. The porch leads into a fully equipped cook’s kitchen with high-end appliances, quartz countertops and an island with seating. The dining room has a farmer’s table that seats up to 10 along with an additional sitting area by the fireplace. The library/media room is a cozy place to sit and talk, read by the fireplace, or binge watch that show you just never got to last year on a large flat screen TV. The final room downstairs is the first, of two, en suite master bedrooms (queen bed). It has a fireplace, flat screen TV, and a marble and tile bathroom. A French door leads from this bedroom to the bluestone patio. The central hallway contains a half bath and two stairways that lead to the second floor where you will find four additional bedrooms, (two queens, one twin and an en suite king), a full laundry and a large bathroom with an oversized tub/shower. The 2nd floor master bedroom (king bed) has a flat screen TV, an attached walk-in closet and en suite marble and tile bath. High quality linens and towels are provided throughout the house. The real bonus of this house is its key to Hancock Beach—located approximately 1.5 miles from the house down a private road. Hancock Beach is a premier private South Shore ocean beach adjacent to Chilmark Pond so that both can be enjoyed. Tenants can bring kayaks to the pond to explore this beautiful, unspoiled environment. 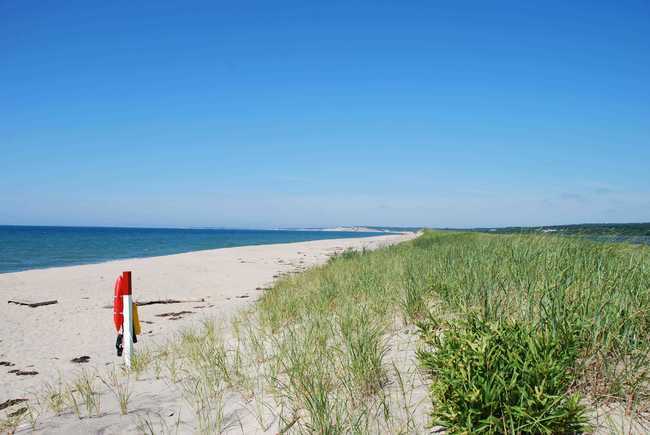 Tenants also have access to Chilmark town beaches—Lucy Vincent and Squibnocket. Beach chairs, towels, umbrellas and coolers are all provided. Please call for availability and rates.